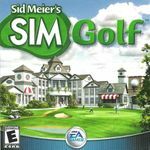 Sid Meier's Sim Golf is a computer game created by Sid Meier, Firaxis, and Maxis in 2002. In the game, players must successfully design golf courses and play them with their default professional golfer, Gary Golf (though this player can be customized in a number of different ways). Played in a near-isometric dimetric view, the game runs on fairly low system specs, and only at an 800x600 resolution.